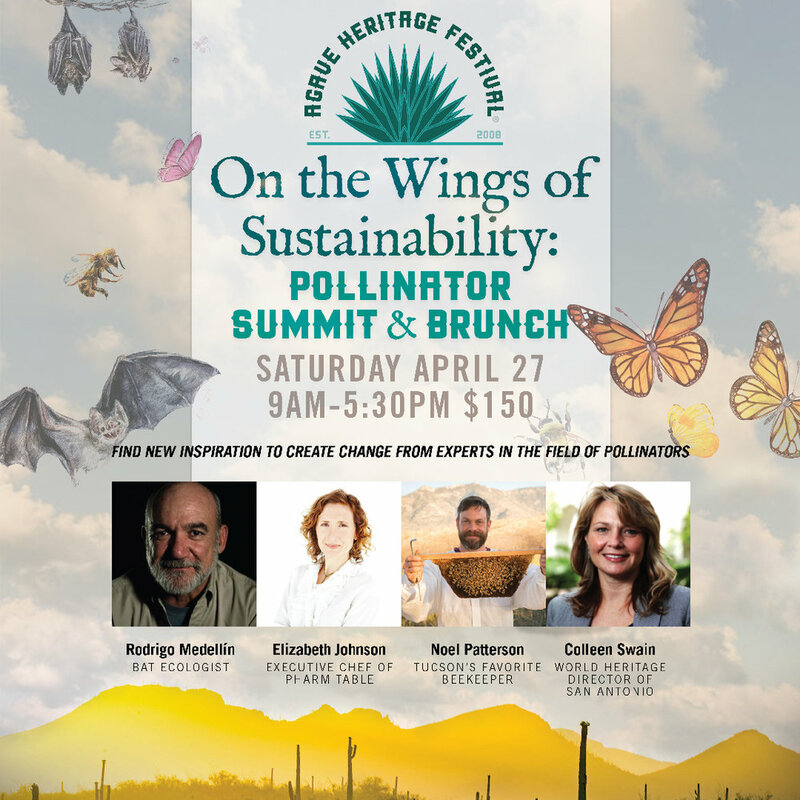 Find new inspiration to create change at this event with presentations on pollinators, a honey tasting experience with Miraval’s Noel Patterson, and an exquisite farm-to-table brunch created by Chef Elizabeth Johnson featuring produce sourced from Aravaipa Farms and local purveyor Pivot Produce. This three-hour class is a behind the scenes tour of Tumamoc Hill that will cover and build upon basic drawing concepts and techniques and provide a detailed presentation of the importance of agave in desert cultures and recent scientific breakthroughs. Taste fresh roasted agave and agave spirits. Plus agave home cooking workshop. Presentations by Jesús García and local wild food chef, Carolyn Niethammer. This annual signature event showcases all things agave, including presentations, over 30 agave spirits, and an agave cocktail showdown. Enjoy live music, delicious food, agave spirit tastings, agave art, and other goods produced or inspired by the agave plant. Discover the nuances of and differences between mezcal, bacanora, and tequila, get to know the producers themselves, and enjoy delicious food pairings during the exclusive VIP event from 6-8pm!